Bringing the power of massage to Bend, Oregon since 2008. At Action Dynamix we strive to provide a sense of community and high quality therapy to keep Bend happily active! Our knowledgeable, experienced practitioners have individualized client care as their top priority. We specialize in Medical, Therapeutic, and Sports based bodywork, with certifications in Neuromuscular treatment, myofascial work, and Cupping therapy. Let us help you achieve your goals and get your body back on track! Erica is a human anatomy and kinesiology geek that loves to apply those principles to bodywork. Her belief is that bodywork is a powerful tool to manage health, treat injury, compliment wellness routines, and collaborate with healthcare practitioners in treating medical conditions. Erica found a passion for pain-relief through bodywork while studying human movement and exercise physiology at the University of Central Arkansas. She has since had the privilege of practicing in some of the world's most beautiful places such as Jackson, Wyoming and the Turks and Caicos islands. 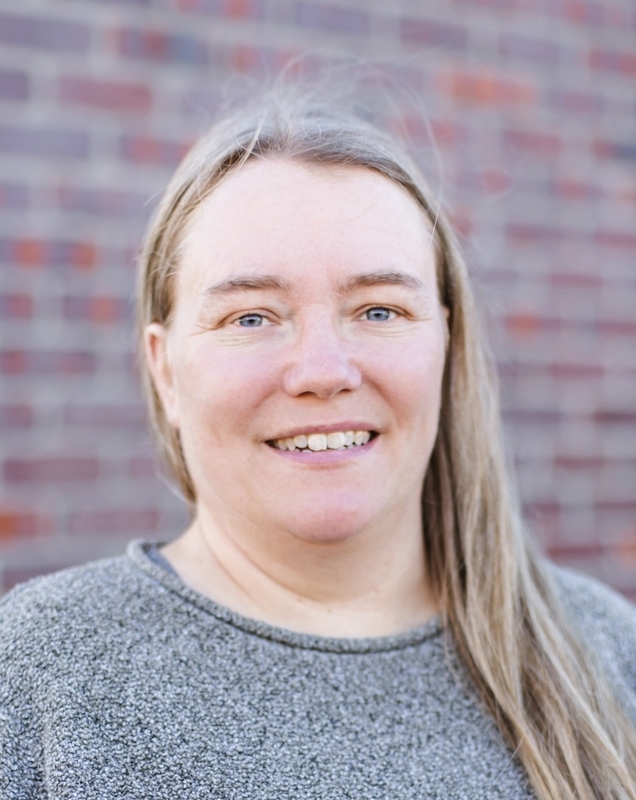 She provided bodywork in the athletics department at the University of Virginia, and has assisted in teaching in a Clinical Massage Therapy program in Seattle. Erica currently assists Dr. Rodney Cross, teaching Kinesiology in the massage therapy program at Central Oregon Community College. Erica also teaches dance at the Athletic Club of Bend. Patty grew up on the east coast but was drawn to the west in her early 20’s. In 1999, she moved to Colorado, where she learned to snowboard and rock climb. While recovering from a climbing accident, Patty received her first massage, unknowingly preparing her for a path towards a healing career. Patty studied massage therapy at Central Oregon Community College and received her associate’s degree in applied science in 2005. Over the years, she’s developed her skills while working alongside physical therapists and chiropractors. Patty’s passion is in the challenge of helping her clients find relief from acute/chronic pain. She specializes in neuromuscular massage, deep tissue, cupping, and sports massage. Patty describes her style as “patient and slow, while working within a client’s boundaries...and unwinding restrictions towards less pain and more efficient movement.” In her almost 12 years of practice, Patty continues to be grateful and honored by the trust people put in her and for being a part of their healing process. Sarah is a native to Central Oregon. As a young adult Sarah moved to the UK and traveled through Europe learning and experiencing many new cultures. The pull of the northwest brought her back to Bend in 2008 to begin her schooling in the Massage Therapy program at Central Oregon Community college, where she graduated with highest honors. Sarah truly found a calling to channel her distinct skill of therapeutic massage. The diveristy of her work includes principles in Therapeutic, Neuromuscular, Prenatal, Oncology, Cupping, and Thai massage. She is passionate about finding the right solution for each client, and believes every body has a unique story to tell. Sarah believes in spreading knowledge of the body, and giving her clients the opportunity to learn to facilitate healing within themselves. Forever the student and traveler, Sarah spends most of her time reading as many books as she can get her hands on, participating in workshops, and traveling the world with her partner Josh. She also has a deep love for nature and animals and tries to combine those elements into her life whenever possible. Sandra earned her Bachelor of Arts degree with a focus in Women’s Health and Healing in 1992 from The Evergreen State College, Sandy continued to expand her health education receiving a 1,000 hour massage certification from the Desert Institute of the Healing Arts in Tucson, AZ in 1994. Most recently she graduated from the University of Montana Helena College with and Associates Degree in nursing and is currently working at St. Charles Hospital as an RN. Sandy’s experience as a massage therapist is extensive. She began working in a sports massage clinic in Minneapolis, MN treating amateur and pro athletes. Her adventures took her to Olympia, WA where she spent 5 year working with Susan Rosen as a provider for health insurance companies treating chronic and acute injuries with a focus on upper back and neck issues. Sandy took a break from Massage and took a position managing a neurology clinic in Minneapolis while her children were young. She re-entered the field of massage with a short stint at an Aveda Spa in Minneapolis and most operated her own practice in Helena, MT for 5+ years. Sandy and her two daughters recently relocated to Bend from Montana. They are working on integrating into the community and enjoying all there is to explore in Central Oregon.